Renault didn’t make much out of its Laguna and looks like this is why they are coming up with the all new Renault Talisman 2016. Offering sculpted exterior and high quality interior company expects the model to hit the creamy layer of market. 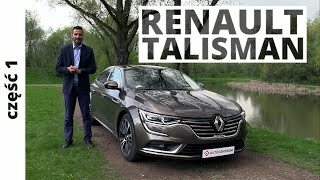 Let us have a look at the review of Renault Talisman 2016 to know in details about all the features and specifications. The interior of Renault Talisman 2016 comes dipped in soft-touch materials and premium trim with lots of room for its passengers and the stowage. Center console covers a large space and offers lot of gap between the driver and the passenger seats while for the stowage there is in total 0.88 cubic foot of space around the cabin and this includes the glove box, door bins, beneath the armrests and cup holders. There is also a custom tray to keep your smartphone or keys. The model has been designed beautifully to bestow its owner. As soon as you’ll get close to it, it’ll welcome you with lots of light illuminating the front, rear and the top. As soon as you’ll enter the driver seats slides back to make you sit and get back to its position once you find the place. The model includes In-car Apps like Coyote alerts, three Michelin apps for hotels, restaurants and travel, fuel prices and ext to audio email reading. In all with the entire features, space and comfort, the interior of Renault Talisman 2016 is worth the penny. 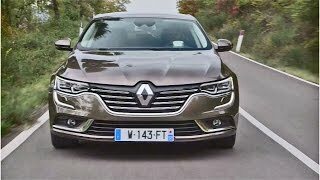 While talking about the exterior details of Renault Talisman 2016 I won’t say it is entirely new design but yes the changes amalgamated make it different from its predecessors. Starting with the front fascia the looks might resemble to the newly released Megane. The traditional grille comes with lot of chrome work in it while the headlamps come integrated with daytime running lights. The opposing accents can be further noticed around the LED fog lamps, making the model look stunning. Moving towards the rear, the chrome work could also be noticed in the window surrounds. The rear end has lots of horizontal lines running across the wide body and lightning providing 3D-effect for lighting and are always on, even during the day. 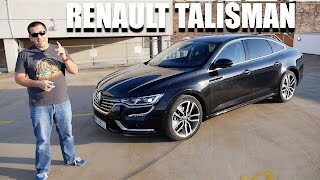 Thus rounding up the exterior details of Renault Talisman 2016 I would say, it’s fabulous. 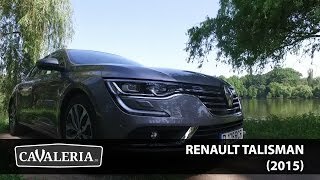 Beneath the hood of Renault Talisman 2016 are two petrol and three diesel engines. The gasoline engines will crank total output of 150 hp and 200 hp mated to seven-speed dual clutch transmission while the diesel engine will produce 110 hp, 130 hp and 160 hp of total output. The former two will be paired to either six-speed manual or six-speed dual clutch transmission while the latter is bolted to dual clutch. The performance figures of Renault Talisman 2016 engines are not yet shared but we assure you to bring them as soon as company unveils it.